Your electricity bill can fluctuate from month to month, depending on how much energy your household uses. Certain items account for a much higher portion of your bill, while others only contribute a little. Being aware of the biggest energy contributors can help you find ways to lower your energy usage overall. The biggest source of energy use in your home is your heating and cooling system. Whether you’re using your air conditioner in summer or your furnace in winter, this makes up the biggest expense on your electricity bill. In fact, heating and cooling account for close to half of an average household’s energy usage. The next highest contributor to your electricity bill is your water heater. Consider how often you rely on your water heater for hot or warm water in order to shower, take a bath, wash your hands, do your laundry or wash your dishes. This energy use adds up over time. Your water heater accounts for roughly 14% of your household’s energy use. Your washer and dryer are also big energy users. Think about how many loads of laundry you do on a regular basis. The larger your family is the more loads of laundry you go through. This requires a considerable amount of energy for running your washing machine and dryer. Washers and dryers use around 13% of your total household energy. 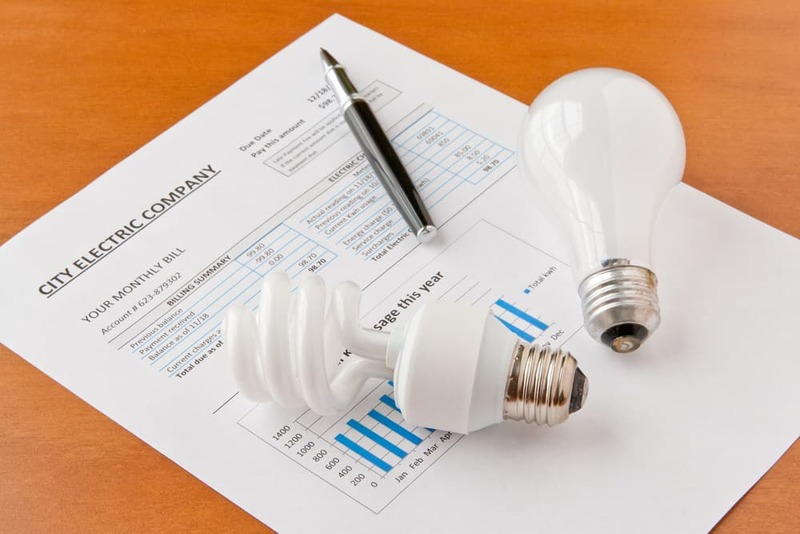 Lighting is another big contributor to your electricity bill. If you’re home during the day, you most likely have lights on in your living room and kitchen most of the time. Having these lights on much of the time adds up in terms of energy usage. Lighting is just behind washer and dryers at 12% of a household’s energy use. There are other items in your household that can make some difference in your electricity bill. However, these items don’t take up as much power as the larger contributors. Some of the smaller items that use energy include refrigerators, electric ovens, TVs, cable boxes, dishwashers, and computers. Vacuum cleaners and hair dryers also use a lot of electricity, although you usually only run them for shorter periods of time. Switch to LED lighting – LED lighting uses much less energy than incandescent bulbs, and LED bulbs typically last longer. Installing LED lighting or using LED bulbs might cost more upfront, but you save a significant amount over time by using less energy. Unplug devices that you’re not using – Certain devices, such as cable boxes, computers, DVD players and microwaves still draw energy while they’re plugged in, even if you’re not using them. Use a power strip – If possible, plug devices that drain energy into a power strip. Shut the entire strip off when you’re not using any of these devices. This provides a more convenient way to prevent these devices from drawing power, so you can enjoy a lower electricity bill. Adjust your thermostat – Lower your thermostat a few degrees in winter and raise it a few degrees in summer for a lower electricity bill. Your heating and cooling system won’t have to run as much. If you need help converting to LED lights, installing timers, or have other concerns about the electricity in your home or office, call Turn It On Electric.